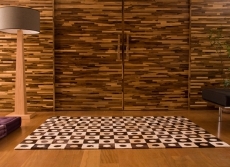 Indusparquet is a manufacturer of some of the highest quality hardwood floors available in the world, with floors featured in iconic locations such as Vatican City, Ferrari showrooms, and various upscale stores. With floors like these, everyone is going to think that you make a lot more money than you actually do, which is actually one of the best kept secrets to gaining respect through fraudulent means! Right up your alley right? Also, these are totally ‘green; products, meaning that by purchasing them you are actually being an ecologically responsible member of society, doing your part to help protect our environment, which is definitely popular with the ladies these days. Included within this glorious collection of exotic wooden floors are styles that are sure to look excellent when paired with any décor, although judging by the decorations you have at your place, you may want to go buy new ones that are more suitable for accenting the beauty and elegance of these fine hardwood floors. Seriously, no one is going to appreciate that display case of Thundercats memorabilia except for you, so you might want to move that to a closet or something. So if the interior of your home looks similar to that of a run-down shack that has witnessed several decades of the zombie apocalypse, then you’re going to need a new hardwood floor to fix the place up a bit. The wooden floors from Indusparquet are some of the finest looking exotic wooden floors you can get your hands on, and they offer several distinctive styles that will look absolutely wonderful in your home, giving you the motivation to hold on for just one more day! With these floors, life will seem great, and no matter how many unanswered phone calls you make to your ex, when you look at these floors, you’re going to feel a sense of happiness that no other floors are capable of creating! 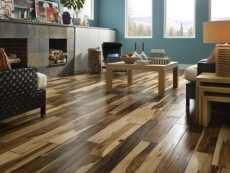 So get an Indusparquet exotic hardwood floor for your home, providing a warm atmosphere that will change the way that you look at your humble abode for the better!